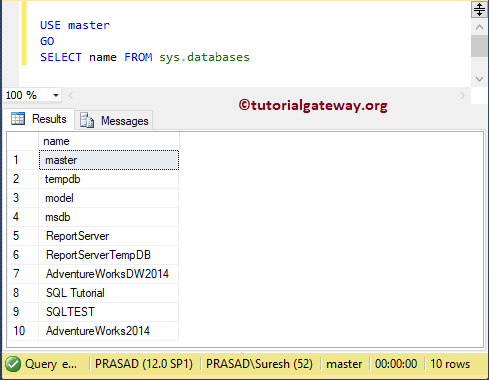 In this article, we will show you, How to write a SQL Query to Get Database Names from SQL Server with an example. This is one of the common Interview Question that you might face in the interviews. 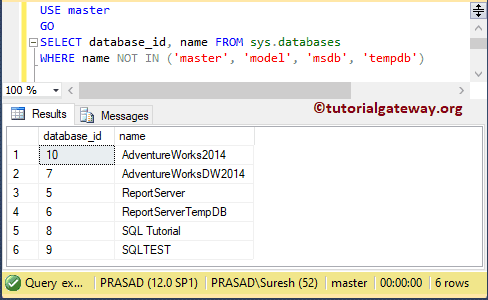 Below screenshot will show you the list of databases in Sql Server that are available in our current instance. 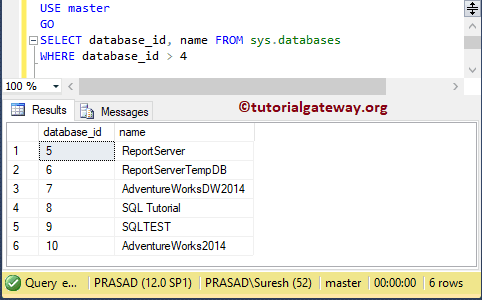 You can also use sysdatabases to get the list of databases in SQL Server. 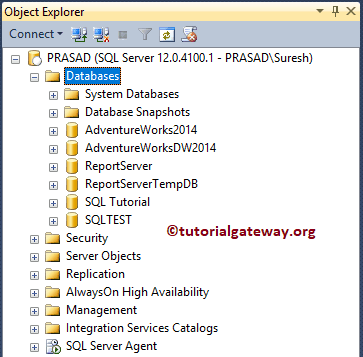 Or, use sp_databases stored procedure to get list of databases in SQL Server. 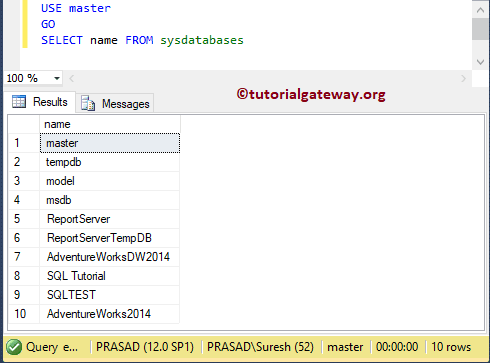 In this example, we will restrict the result. 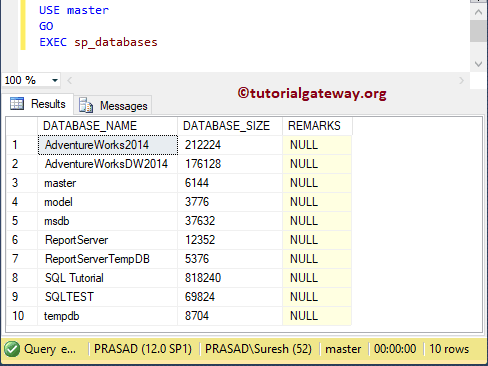 I mean, we will get Databse names in Sql Server without system databases.